How Bad Is The Red Sox Medical Staff? 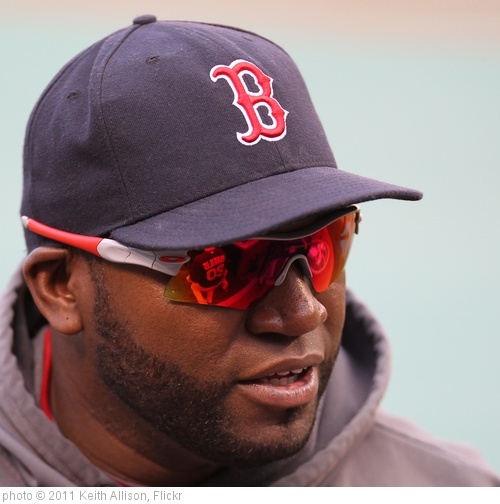 The latest news on David Ortiz’s Achilles injury is… well, no one really knows what to make of it, besides from the fact that he’s not coming off the disabled list nearly as quickly as many suspected. It’s no secret that a big part of the Red Sox still being under .500 as we enter August is the fact that for most of the season, the disabled list has housed more players than the field at Fenway Park. As Peter Abraham noted in the Boston Globe this morning, the Red Sox have had a total of 1,119 games missed because of the disabled list this season. According to him, that’s a Major League record, and honestly it’s not surprising to hear that. Most of these injuries are ones that couldn’t be helped. Jacoby Ellsbury injuring his elbow in the home opener after Reid Brignac essentially fell on it. Dustin Pedroia hurting his thumb after taking a bad swing, and then re-aggravating it after diving for a ball. Will Middlebrooks simply cramping his hamstring after a bad defensive play. All of these are unfortunate fates of circumstance, part of the game. There’s nothing the Red Sox medical staff could have done to prevent these from happening. But what of Carl Crawford’s misconstrued and contradicting absence? What of the diagnosis that Ellsbury would miss 6-8 weeks, when in reality he missed three months. Now the same situation is beginning to unfold with Ortiz, and you have to wonder if he will even set foot on the field again this season. The question that all these strange and misleading diagnoses inevitably lead to is this: just how bad is the Red Sox medical staff? The Red Sox have not made the playoffs for two years running, and each year there are key examples of botched handlings of injuries. Last year, it was Clay Buchholz, who didn’t throw a pitch after June 19th because of a lower back strain. Based on the initial report, reporters were saying things like “It’s not a serious injury, and the hope is that he will return to the major league rotation around July 2nd, the first day he’s eligible.” Obviously, that was not the case. Buchholz never returned, and Boston’s lack of pitching depth was one of the main reasons they plummeted out of contention over the last month of the season. In 2010, there were two key injuries on the team, and likewise, two terribly mishandled early returns. The first was Jacoby Ellsbury, who suffered multiple broken ribs after colliding with Adrian Beltre in the first week of the season in Kansas City. After stumbling to a poor record, the Red Sox rushed Ellsbury back in just over six weeks time, only to have him re-injure himself three games later, after diving to make a catch in center field. It was immediately clear that they had brought Ellsbury back too early and they shipped him off to Arizona to rehab. Three months later, they tried to bring Ellsbury back once more, and again he injured the ribs, this time after a collision at first base. He returned to the disabled list and did not touch the field again that season. The same year, Dustin Pedroia suffered a foot injury after fouling a ball off of it during an interleague game in San Francisco in June. The Sox scuffed along for the rest of the summer, slowly losing ground on the second place Yankees, before they were finally overtaken late in mid-August. Pedroia was brought back just a week later, with his foot reportedly in good condition. Pedroia played just two games before he placed back on the disabled list after stealing a base, and reinjuring his foot He did not play another game, and the Sox missed the playoffs. And now we have the Carl Crawford debacle. By now you know of the confusing language that has surrounded the Red Sox’ handling of Carl Crawford and his left elbow/wrist from the beginning of this saga. Whether it be a four-day program that has never run on a four-day schedule, or required days off that aren’t really required. Now, the Sox are in a position where “if they’re not in it” then Crawford will end the season early and get tommy john surgery which he supposedly needs. Despite all of this, Crawford is on quite the tear right now, a tear that we didn’t even come close to seeing last year. Pile the Ortiz debacle onto all of this, and once again you have an example of an injury that no one really seems to know what to do with, or how serious it is. Of course, it’s unfair to pin all of this on just the medical staff. It seems obvious that there was pressure from the front office to bring these players back earlier than expected, but even so, the last few years have to call some of the practices of both the front office and the medical staff into serious question. Obviously, all the blame for the mess this organization has become can’t be placed on just one group or branch of the staff. Yet, with this year’s team breaking the record for most games missed via the disabled list, the Medical Staff has to raise a few eyebrows.